I don’t know about you, but I have never been a big fan of the traditional Christmas pudding. Maybe I had too many stodgy and heavy ones when I was younger which put me off? I’ve just never really liked them. For a Christmas dinner you have probably just eaten a hugely indulgent, and very filling meal, why would you want to finish this off with an even heavier Christmas pudding? I’ve tried a bit of Christmas pudding or Christmas cake each year but i just don’t think they work. Apart from anything they seem to take forever to make and I am a little distrustful of a pudding or cake you can keep as long as you can keep a Christmas pudding. So here is an alternative idea for a Christmas dessert. I think that after a rich and potentially heavy meal what you really need (or what I would like) is a much lighter dessert, think crisp yet chewy meringue base, fluffy cream and refreshing fruit. What do you get? The Pavlova! I love the Pavlova as as dessert, it is one of the best year round desserts. 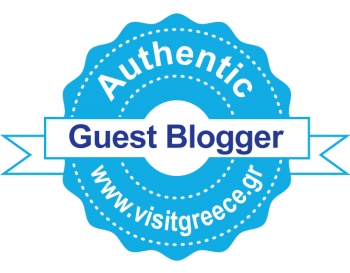 In summer you can use fresh strawberries or raspberries and in winter you have so many wonderful winter fruits. 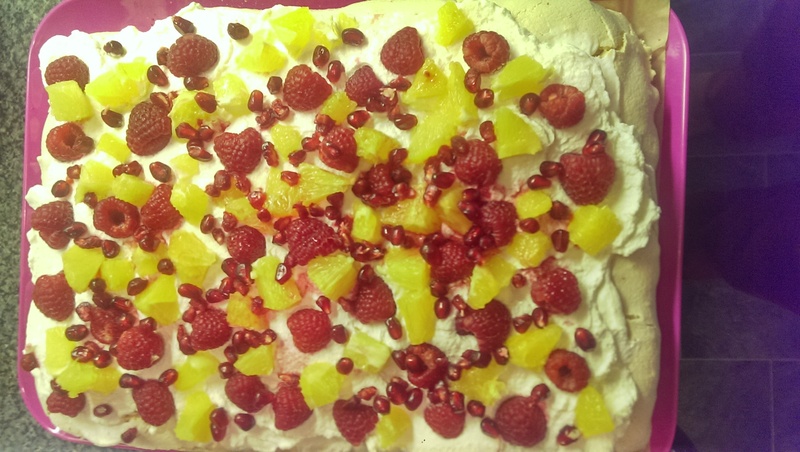 To give it a wintery, yet fresh taste and a festive look I used a mix of passion fruit, orange and raspberries. I have made Pavlova’s before and baking this Christmas Pavlova was dead easy. As with all the recipes I am looking at for Christmas dinners, this is designed to be easy with much of the work done the day before. 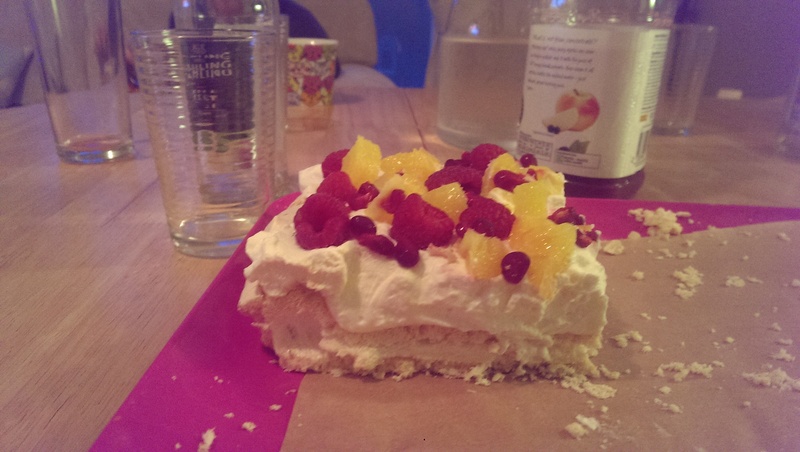 It is best to make the Pavlova base the night before and pop in in the fridge. The base itself is pretty quick and easy to make on Christmas eve and then Christmas day all you need to do is whip the cream and decorate it with your choice of fruit. On Christmas Eve: Preheat the oven to 180c and line a flat baking tray with baking paper. Take a large mixing bowl and use some kitchen paper dipped in a little malt vinegar to wipe the inside of the bowl. Whisk the egg whites in this bowl with a pinch of salt till you have soft peaks, this should take around 5 minutes. Keep whisking whilst you add the caster sugar a little at a time. Once it’s all incorporated stop whisking. Add the cornflour and white wine vinegar, then fold this into the whisked egg whites with a metal spoon. Spoon this onto the baking tray and smooth out with a metal pallet knife. Pop this in the oven and turn the temperature down to 150c to cook for 1 hour. 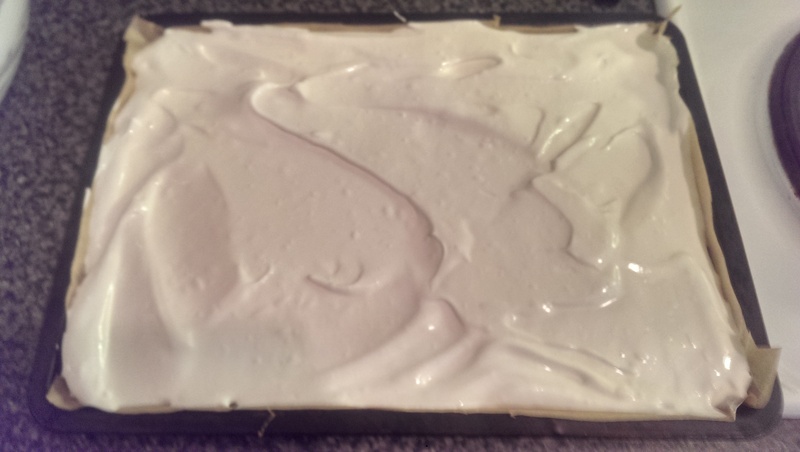 Once cooked – the outside will just be turning crisp – turn the oven off and leave the meringue in there till cool. Once it is cool cover with clingfilm and put in the fridge overnight. 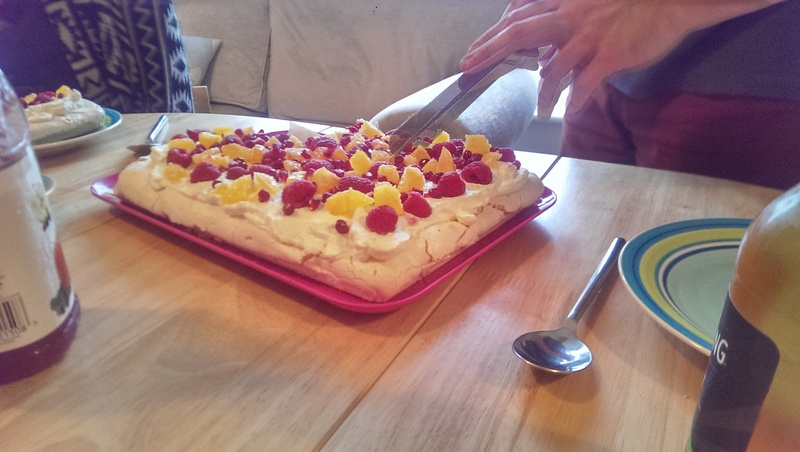 Christmas day: you can finish the Pavlova at any time on Christmas day and it only takes a few minutes to do so. In a mixing bowl whisk the cream till soft and airy then spread over the pavlova base. Slice the oranges into small pieces and place evenly on the cream, do the same with the raspberries and Pomegranite seeds. You should then have something which looks like this!